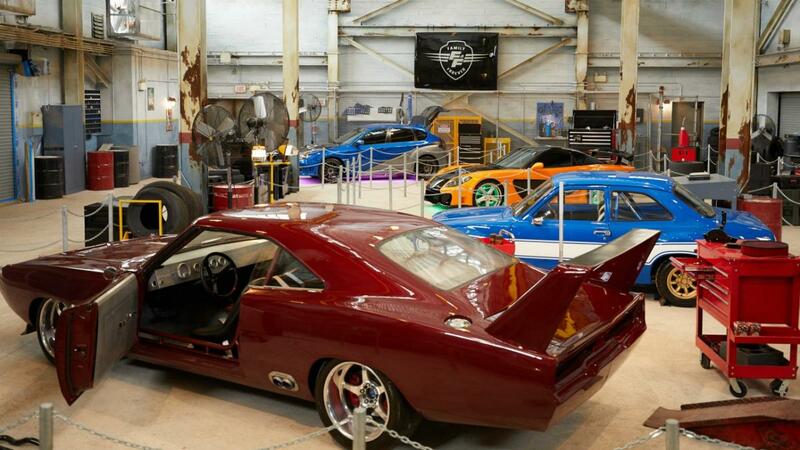 The Fast & the Furious film franchise is now immortalized with a ride at Universal Studios. Fast & the Furious: Supercharged is the newest simulator ride at the park and it utilizes some of the latest technologies at Universal's disposal. The new Orlando attraction is built in the San Francisco section of Universal Studios | Orlando at the site of the former Disaster! attraction. At the official grand opening on May 2, stars of the film franchise like Vin Diesel, Tyrese Gibson, Jordana Brewster and Ludacris were all in attendance. On Fast & the Furious: Supercharged, riders are able to interact with some of the film's iconic characters like Dom, Letty, and Hobbs. As people make their way through the queue, they are immersed in the underground headquarters of the Fast & the Furious. The garage has a very authentic feel and features 14 cars that are from the movie. There are other actual props from the film used in the design and tons of references to the franchise that diehard fans will appreciate. As riders walk through waiting to get Fast & Furious, they will encounter live actors and some of the film's stars via video screens in the "Family Room" and "War Room." People then board trackless party bus vehicles on their way to a post-race party, but things inevitably go wrong on the journey. The party busses are forced to embark on a high-speed chase through San Francisco. In the end, all riders originally en route to the party come out safe and are lauded for their ability to keep pace on the roads. The ride utilizes glasses-free 3D technology to depict the action going on. Riders are further brought into the story through sensory and physical effects, like heat, smoke and vehicle vibrations. In addition to the fun ride experience, Fast & the Furious: Supercharged is just the second ride at Universal Orlando to use their Virtual Line system. It allows parkgoers the opportunity to reserve a place in line through Universal's app or kiosks in front. That new amenity cuts down significantly on wait time, although attendees will still walk through the queue to set up the experience. It ensures that even though the ride opened at the beginning of the month, you do not have to wait in long lines if you want to check it out. Subscribe to 407area and stay connected to the thrilling events and the latest Orlando attractions.